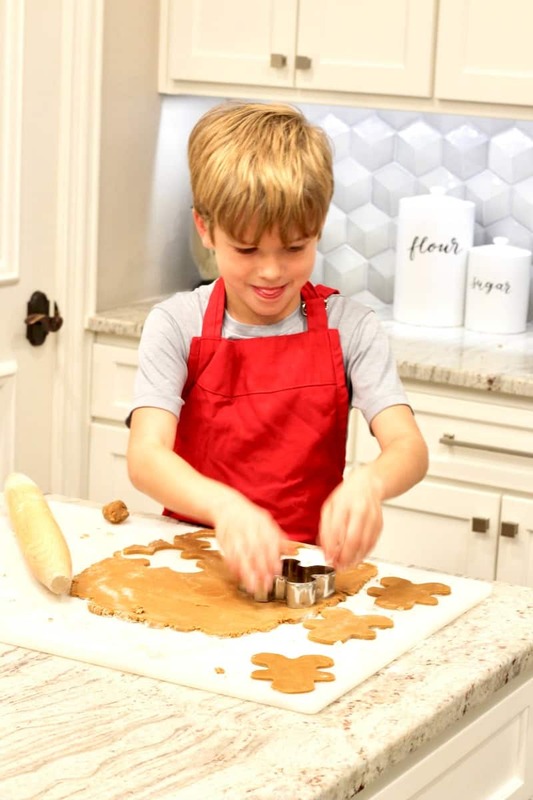 Chewy, no chill, perfectly spiced Gingerbread Men Cookies are a must to bake and decorate during the holidays! 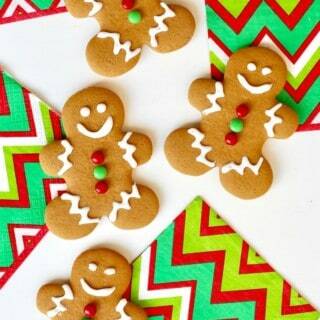 It wouldn’t be the holidays without gingerbread men cookies! 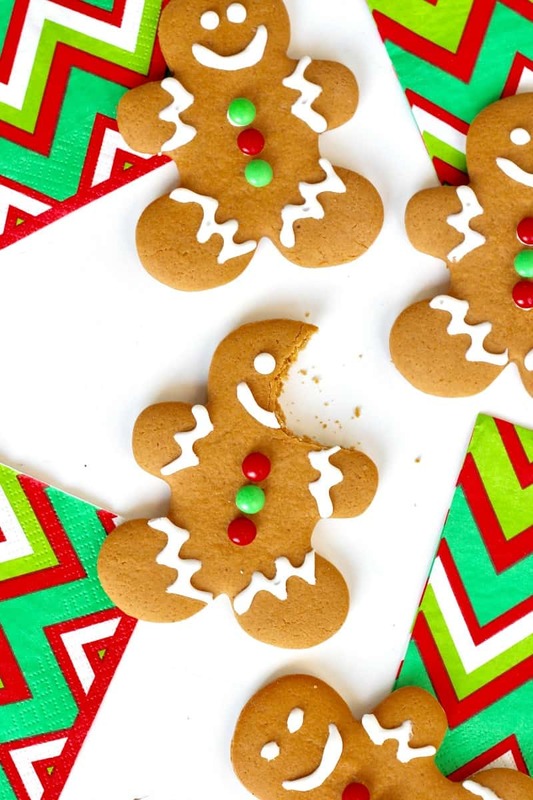 I’ve always thought they were so cute and fun to decorate, but I’d honestly never met a gingerbread man cookie that tasted great…until now! 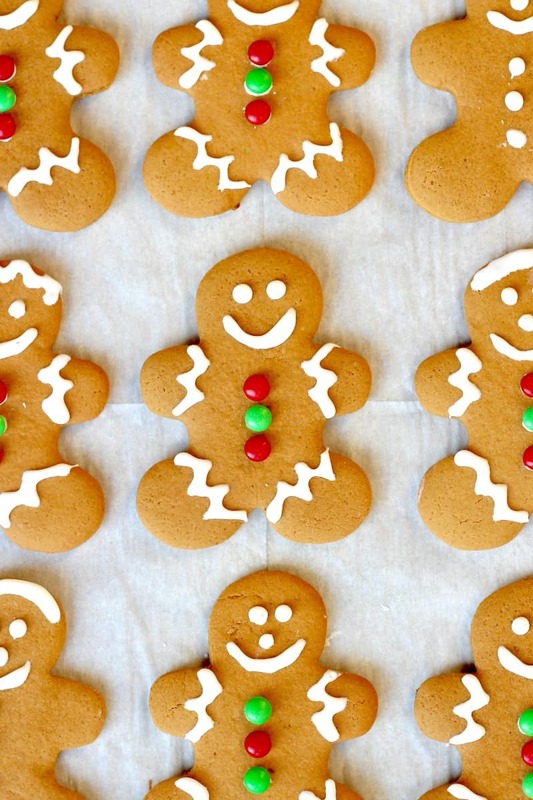 I decided this was the year I was going to create my own gingerbread men cookie recipe to prove that these cuties could taste delicious too. Out with the hard, crumbly, flavorless and in with the chewy, tender and spiced just right. 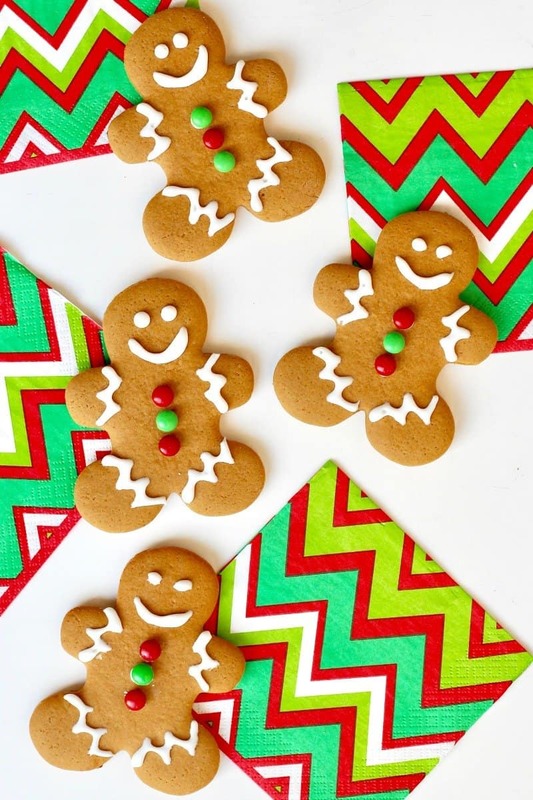 This recipe is quick and easy and guaranteed to give you gingerbread men cookies that hold up to the excitement of decorating and then dancing them into your mouth. 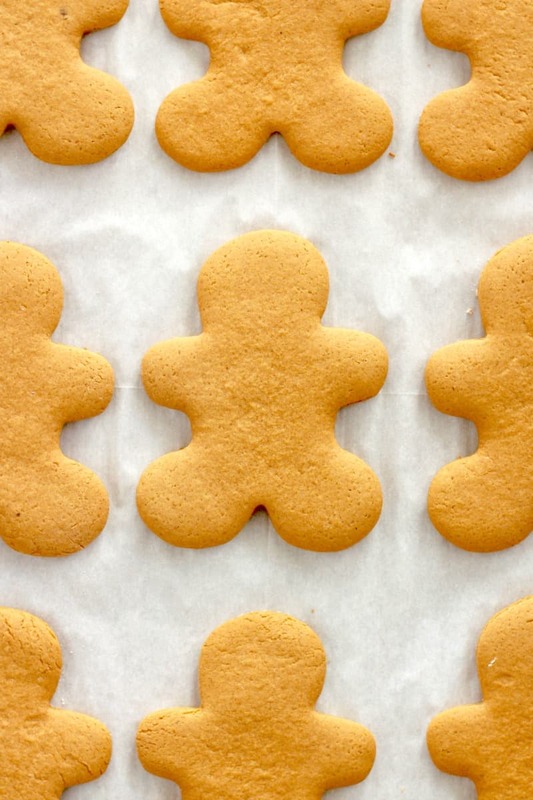 Just mix the dough, roll it out and cut it into the gingerbread man shape. No chilling required. Cutting out the gingerbread men shapes is definitely a highlight for my crew when we make these cookies. I like to roll the dough out to 1/4-inch thickness for a thicker, chewier cookie. And they bake so quickly that you can have all 4 dozen baked in less than 20 minutes. Makes for such a great recipe to bake with kids because it’s quick and easy. Once cooled, they’re ready to decorate. I like using the store-bought containers of cookie icing to decorate these cookies because the container with the little tips make it much easier for everyone to draw their desired design on the cookies. Use a variety of colored icings, sprinkles, candies, etc. 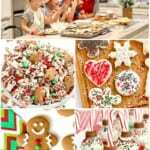 Such a fun activity to do with the kids this holiday season. Have fun with them! They’re sure to be cute and guaranteed to be delicious. Enjoy! In the bowl of an electric mixer fitted with the paddle attachment, beat the butter and dark brown sugar until smooth. Add the molasses and vanilla and beat until well combined. Beat in the eggs, one at a time. Add the flour, ginger, cinnamon, baking powder, baking soda and salt. Mix on low speed until the flour is fully incorporated. Divide dough in half. 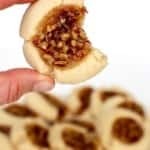 On a floured surface, roll the dough to ¼-inch thick. 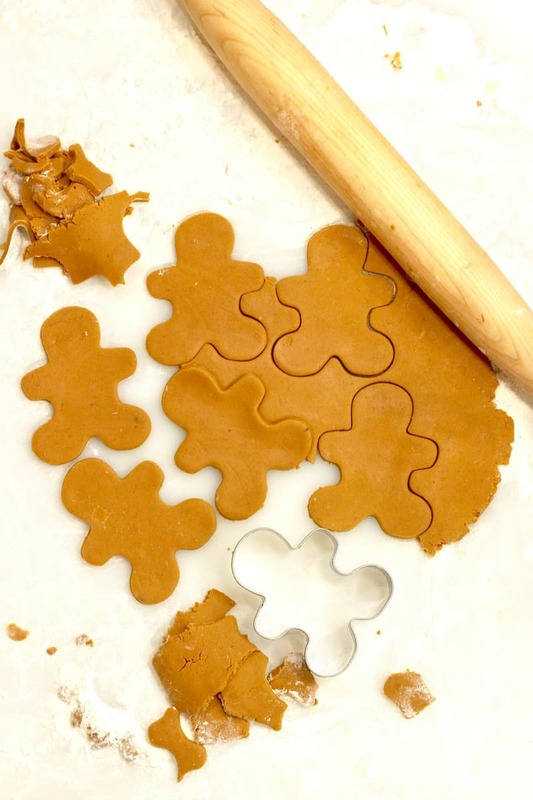 Using a gingerbread man cookie cutter, cut out the gingerbread men. Transfer to baking sheets and bake for 7-9 minutes or until they start to crisp around the edges. Let cookies cool on baking sheets 5 minutes and then transfer to wire racks to cool completely. 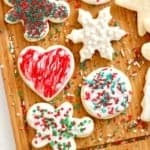 Once cookies are cooled, decorate with cookie icing and candies. Hi! Here where I live I can’t find molasses… Can I replace this ingredient for another? Thanks! Hi Gloria! You can replace it with dark corn syrup, honey or maple syrup. Enjoy! Hello! I don’t have a big electric mixer with the paddle? Can I use my little hand mixer? Thanks! Hi Janette! I think they’re best enjoyed within a week stored at room temperature. 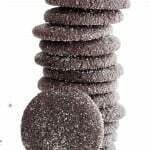 You can also freeze them once baked before decorated for up to 6 months and then let them defrost at room temperature. Enjoy! Thanks for this recipe Maegan! These are by far the best gingerbread cookies I’ve made. They were actually tasty and not overpowering…and soft! The dough was a dream to work with. Super silky and the kids loved playing with it. I halved the recipe and that worked well for us. 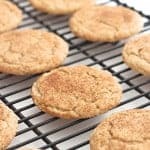 These cookies were super easy and taste delicious. My sons teacher read him the gingerbread man and we just had to make some. Great memories. thank you for an amazing recipe! I don’t have the wife racks,,, what should I do ??? Hi Jennifer! Just let them cool completely on the baking pan. They’ll just take longer to cool. Enjoy! Can you chill if you want to make dough ahead of time? Sure! It certainly won’t hurt to chill the dough, just not required. Enjoy! 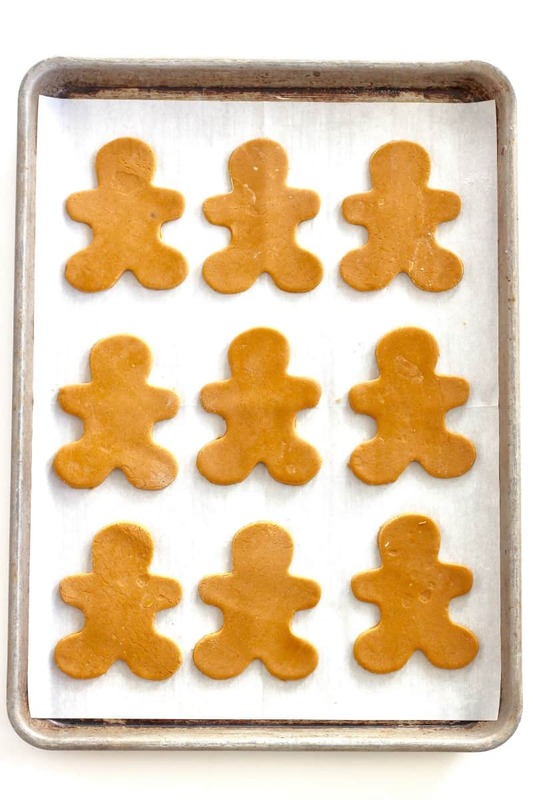 I have been making gingerbread men for the holidays for most of my life, and this was the easiest good recipe I’ve ever found. I love the flavor and texture, and I didn’t have to chill the dough. Yay, instant gratification!